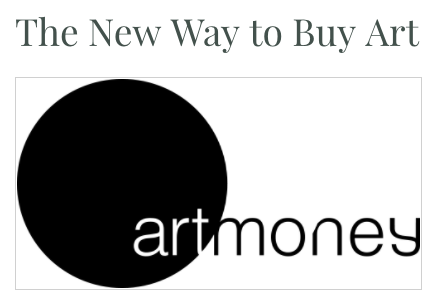 Hilton | Asmus Contemporary is very excited to partner with Art Money, offering interest-free financing to help collectors purchase their artwork over time. Art Money makes owning art easy and affordable. Payments are spread over 10 monthly installments. After paying a minimum 10% deposit, you can take your artwork home and pay the remaining balance over 9 months, interest free. With an Art Money interest free loan, an artwork that costs $5,000 is only $500 a month over 10 payments (your first payment is your deposit). Take your art home and pay for it later. Available from $1,000 to $50,000. Art Money helps you enjoy art, support local artists and galleries and contributes to the long-term sustainability of local art and culture. 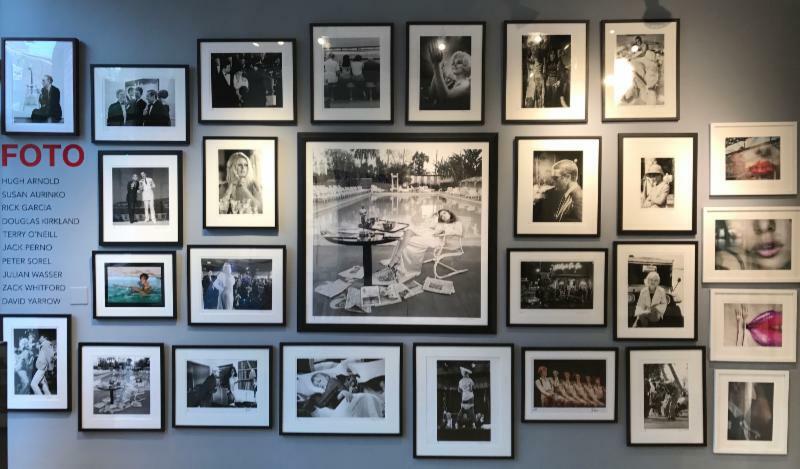 Please stop in or call us to purchase the artwork you've been waiting for! See Your Family on a Times Square Billboard and Help Plant a Tree! Want to see you or your family featured on a Times Square billboard? Now is your chance! Go to LightStreamForests.com and upload your favorite photo. You may be featured on a Times Square billboard, and you’ll also have a tree planted in your honor! On Wednesday, October 18, LightStream – the online lending division of SunTrust Bank that plants a tree for every loan it makes -- is creating a pop-up Forest of Dreams in Times Square. This lush forest, complete with live trees and rescued wildlife, celebrates the 1,000 acres of trees LightStream has already planted and boosts its effort to plant 500 more acres this year. As part of a nationwide push, the company will plant a tree for the first 10,000 people who participate in the Forest of Dreams. A portion of the Forest of Dreams’ donations will benefit areas recently decimated by hurricanes, including Houston and Miami. I hope you’ll take a minute to visit LightStreamForests.com and upload a photo, and that you’ll encourage your readers to do the same - sample tweet and post below. Feel free to reach out with any questions you may have. Visit the Forest of Dreams in Times Square - Have your photo taken against a forest background which will be shared on a Times Square billboard. Go to LightStreamForests.com - Upload a photo that may be featured on the Times Square billboard. Share on social media – If you submit a photo online, you will receive an email with your picture customized as if you were at the Forest of Dreams event and featured on a Times Square billboard. Share the image with others and encourage them to plant a tree, as well. (#lightstreamforests; #forestofdreams). Sample Social Media Messages - Share it! Maggie Daley Park Ice Skating Ribbon on November 17. Do-It-Yourself Messiah,gingerbread house decorating and more. Featuring your favorite seasonal traditions, ice skating, music, exhibitions and family fun, Millennium Park will be the epicenter of holiday fun in Chicago. As the #1 attraction in the Midwest and Chicago’s town square, the Millennium Park Campus is comprised of events and attractions at Millennium Park, the Chicago Cultural Center, Maggie Daley Park, the Art Institute of Chicago, the Harris Theater and Park Grill in Millennium Park. For the complete schedule of events, visit millenniumpark.org. Topping the list is the 104th Annual Christmas Tree Lighting Ceremony on Friday, November 17, in Millennium Park at Washington St. and Michigan Ave. at 6 p.m. Nominations for Chicago’s Christmas Tree are now being accepted through October 20, for details, visit cityofchicago.org/dcase. The selected tree will be announced in early November, along with the entertainment lineup for the Tree Lighting. And Chicago’s Christmas Tree will be on view through December. The McCormick Tribune Ice Rink at Millennium Park will open earlier in the day on Friday, November 17, at noon, with skating continuing through March 4, 2018. There’s more skating and family fun just across the BP Bridge at the Skating Ribbon in Maggie Daley Park. The Wreathing of the Lions has been a tradition at the Art Institute of Chicago for more than 25 years; watch on November 24 as cheery holiday wreaths are placed on the regal lion statues on the museum steps (where they’re up all season), then head inside for art-making activities. And you won’t want to miss the Dance-Along Nutcracker® at the Chicago Cultural Center on December 3—with dance lessons and live music for children of all ages and abilities under the world’s largest Tiffany stained-glass dome. Bundle up and get ready to belt out some holiday classics during Caroling at Cloud Gate. This festive series is part concert, part sing-along at Cloud Gate, aka “The Bean” on Fridays, November 24 through December 15. Concerts are free and scheduled from 6 until 7 p.m., weather permitting. Admission is FREE to all Millennium Park holiday events and supported by the Chicago Transit Authority. For information about Millennium Park, visit millenniumpark.org, call 312-742-1168, and join the conversation on Facebook (Millennium Park), Twitter and Instagram (@Millennium_Park). For information about the Chicago Cultural Center, visit chicagoculturalcenter.org, call 312-744-3316, and join the conversation on Facebook (Chicago Cultural Center), Twitter and Instagram (@ChiCulturCenter). And for information about programs presented by the Department of Cultural Affairs and Special Events, visit cityofchicago.org/dcase, call 312-744-3316, and join the conversation on Facebook (Department of Cultural Affairs and Special Events), Twitter and Instagram (@ChicagoDCASE) #ChiHolidays. 104th Annual Chicago Christmas Tree Lighting Ceremony, November 17, 6 p.m.
Millennium Park, Wrigley Square at Michigan Ave. & Randolph St. Enjoy this holiday tradition, a glittering tree set among Chicago’s sparkling skyline and the iconic art of Millennium Park. Free admission. Millennium Park, at Michigan Ave. between Washington St. and Monroe St.
Now in its 17th season, the Chicago winter tradition offers lessons and special programming weekends and during the Chicago Public Schools’ winter break. Grant support for Winter Workouts ice skating lessons is provided by McDonald’s Active Lifestyles Endowment, managed by the Millennium Park Foundation. Free admission; skate rental is $12 Mon–Thu and $14 Fri–Sun/Holidays. Fridays, November 24–December 15, 6–7 p.m. Bundle up and belt out some holiday classics as local Chicago choral groups lead hundreds of celebrants in song. Free admission. Sunday, December 3, Dance Lessons at 11 a.m. & 2 p.m.; Performances at noon & 3 p.m.
Sugar plum fairies and mouse kings of all ages and abilities are invited to point their toes to the familiar music of Tchaikovsky’s holiday classic. Optional beginner lesson by Ballet Chicago precedes each performance. The Dance-Along Nutcracker, created in 1985, is the property of the San Francisco Lesbian/Gay Freedom Band, the world’s first openly gay musical organization. Free admission. Ugly Sweater Skate, December 9, 10 a.m.–10 p.m. Among the “alpine in a city,” lace up your skates and enjoy an ice skating experience unlike any other on a path of ice winding through the rolling landscape. Open daily 10:30 a.m.–5 p.m.; Thursday until 8 p.m. The Art Institute's Thorne Miniature Rooms are once again decked out with tiny seasonal trimmings that offer a window into festivities from a Victorian Christmas to a traditional Chinese New Year. The spectacular Neapolitan crèche is one of the few and finest examples found outside of Naples. Free for children under 14 and Chicago residents under 18. Friday, November 24, 10 a.m.
Art Institute of Chicago entrance, 111 S. Michigan Ave. Kick off the holidays at the 26th anniversary of this Chicago family favorite. After adorning the lions on the historic Michigan Avenue steps with their traditional holiday wreaths, move inside at 10:30 a.m. for wreath-making fun inspired by the museum’s collection. Wreathing of the Lions is a free event. Millennium Park, Lurie Garden at Monroe St. and Columbus Dr. Learn about the birds that remain here in the winter months and help them find much needed food. Each family will make one bird feeder; recommended for ages 6 to 12 years old. Free; advance registration requested. Harris Theater for Music and Dance in Millennium Park, 205 E. Randolph St.
Samuel del Real’s Latin Quintet will perform a series of international Christmas songs such as Have yourself a Merry Little Christmas, El Burrito Sabanero, The Christmas Song, and much more. They will discuss the instruments that create these expressive sounds and where they originated. There is lots of student/artists interaction. Share the joy as this ensemble enhances students’ understanding of and enthusiasm for music. Visit the website for details. Sunday, December 17, 1–4 p.m. The Park Grill at Millennium Park, 11 N. Michigan Ave. Enjoy decorating a gingerbread house complete with candy, icing treats and a hot chocolate bar. Free admission, $25 for each gingerbread house. December 18 & 19, 7 p.m. Celebrating its 42nd year, the Do-It-Yourself Messiah brings together a world-class conductor and soloists, an all-volunteer orchestra of local professionals and amateur musicians and you, with the other 1,500 audience members, in a thrilling performance of Handel’s masterpiece, Messiah. CMS’s presentation of the complete Brandenburg Concertos performed one-on-a-part at the Harris has become “a fixture of the holiday season in downtown Chicago” according to the Chicago Tribune. Don’t miss the performance which is an essential year-end musical tradition. December 27–30, 10:30 a.m.–3 p.m.
Art Institute of Chicago, Ryan Learning Center, 159 E. Monroe St.
Take inspiration from the exhibition Rodin: Sculptor and Storyteller and create a work of art with your family. Admission to the Art Institute’s Ryan Learning Center is free and museum admission is always free for kids under 14 and Chicago residents under 18. Millennium Park Campus holiday events are produced by the Department of Cultural Affairs and Special Events, the Chicago Park District, Lurie Garden, the Art Institute of Chicago, the Harris Theater, the International Music Foundation and The Park Grill & Plaza at Millennium Park. For the latest news and events, download the Millennium Park app, visit millenniumpark.org, like us on Facebook and follow us on Twitter and Instagram, @Millennium_Park. 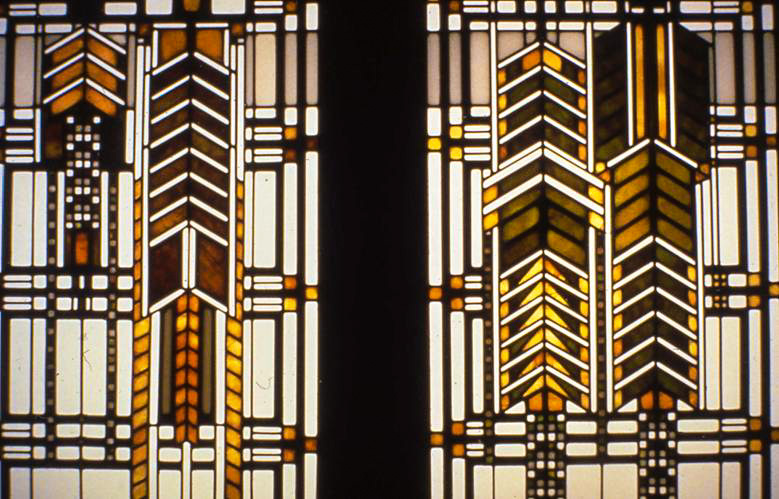 "Wright's Roots: The Origins of Frank Lloyd Wright"
Detail of a glass window inside the the Susan Lawrence Dana House. Landmarks Illinois and the Illinois Department of Natural Resources, Historic Preservation Division, will host a free lecture led by Tim Samuelson, Cultural Historian for the City of Chicago, at the Dana-Thomas House, a National Historic Landmark, in Springfield. The roughly hour-long lecture will examine Frank Lloyd Wright's earliest work in the 1880s through 1904, with the completion of the Susan Lawrence Dana House. This lecture is free, but space is limited. Please register by contacting Landmarks Illinois Springfield Office Director Frank Butterfield, at 217-836-2524 or fbutterfield@landmarks.org. 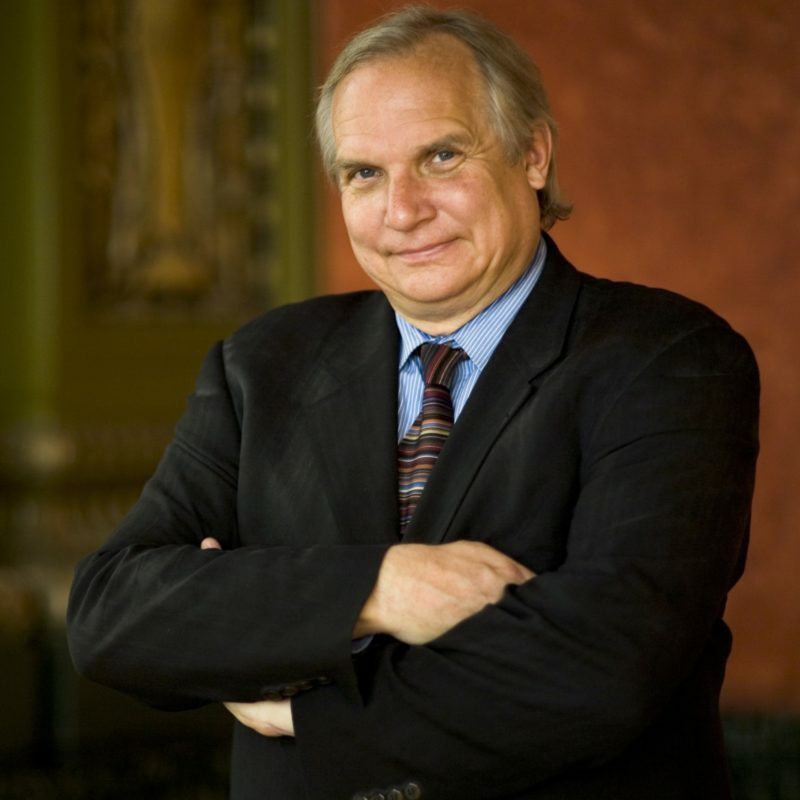 Tim Samuelson, cultural historian for the City of Chicago and the Department of Cultural Affairs and Special Events, has been instrumental in celebrating and protecting Chicago's past. His job is that of spokesperson, historian and storyteller, a wide-ranging position that requires him to tell the spirit and the history of Chicago through exhibits, public programs and collaboration with other public institutions. Samuelson is highly regarded for his stewardship of the cultural and architectural history of the city at the Commission on Chicago Landmarks and Chicago Historical Society. In 2004, cartoonist Chris Ware and Ira Glass of "This American Life" published "Lost Buildings," a book and DVD based on Samuelson's life and the preservation of Chicago's historic buildings. Johnny Carson's Malibu Beach Home Is For Sale!